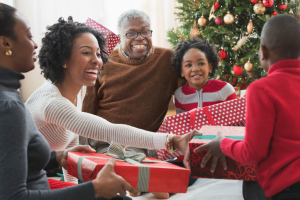 At this time of year, many people around the world gather with their families to celebrate Christmas, Hanukah, Kwanzaa, and other festivals. Relatives come to stay with you, share large meals, and give presents. It sounds lovely, doesn’t it? But when families get together, there can be tension, too. This post looks at some common idioms and phrases that we use to describe what can happen when families have a little too much togetherness.